Sometimes you want a gate that’s going to stand out from the crowd – something that’s going to turn the heads of not only your visitors, but all your neighbours too. Well, a laser cut gate can help you do just that. Made from industrial sized materials, a laser cut gate is the powerful statement your property is missing. Everlast are experts in the design, manufacturing and installation of high quality, laser cut screens. Our professionally engineered processes will be sure to impress, whether in a domestic or commercial setting. Material and finish options can be completely customised, as well as the pattern. We have many standard designs to choose from, which can be found in our extensive catalogue of satisfied customers. Or, alternatively, you can bring your creative flair to the table, working with our designers to create something completely new and different. Including a laser cut gate is a great way to inject a little aesthetic flair and personality into your home’s exterior – it’s a little bit of your personal creativity shining through. Everlast can bring your ideas to life! Being a family owned and operated business helps Everlast to truly create projects that we are proud of. We are in complete control of our operations, all conducted from our state of the art factory in Hoppers Crossing. Because of this, we are able to oversee the process from start to finish, enabling you absolute peace of mind that your project is being completed to the highest possible standard. Because we are in charge of the manufacturing, we are able to work alongside you to create the design of your dreams. When creating a laser cut gate, regular progress images can be sent your way, allowing you to make alterations if/when they arise. Because we are a family business, the community values are deeply engrained. Everything we do is done with a friendly face and can-do attitude. We stand by our tradesman, completely believing in their ability to deliver a project 100%. They are experts in their field, and are highly qualified. Everlast tradesmen have the ability to consistently go above and beyond for clients; they hold the utmost professionalism in their work, and deliver to the highest possible standard. 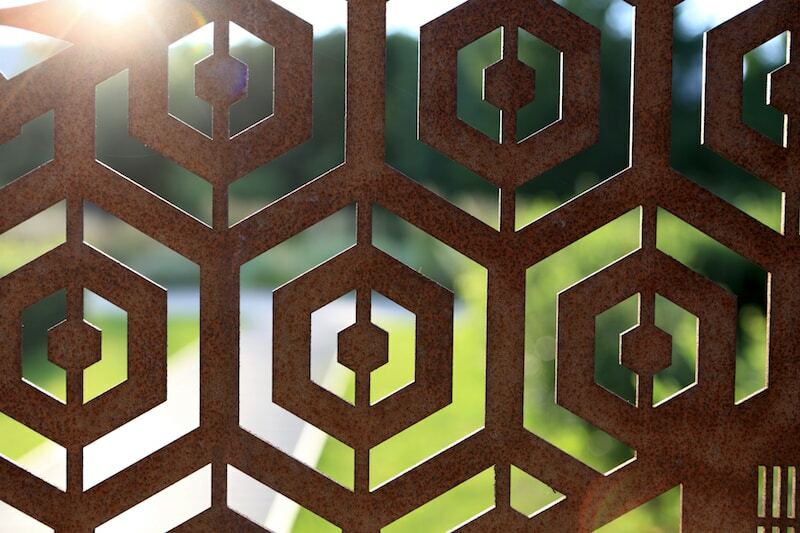 Our repertoire of services spans far past laser cut gates. We are industry leaders, and can help to deliver an extensive array of solutions in the areas of landscaping, concreting, decking, fencing and many more. All to the same exceptionally high standard as our laser cut gates.